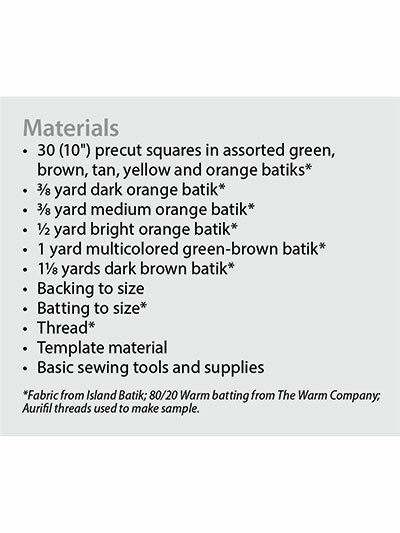 Choose scraps to match the season! 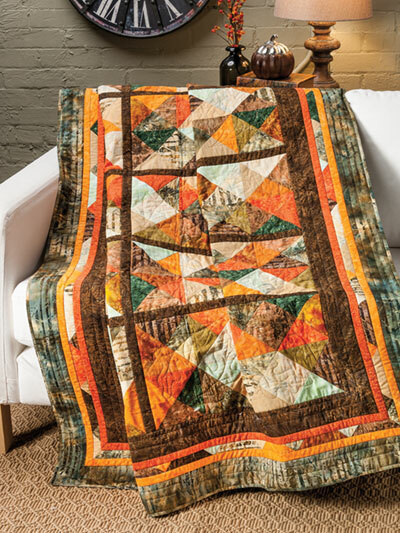 This is a great scrap-busting quilt for autumnal fabrics or perfect for 10" precut squares. 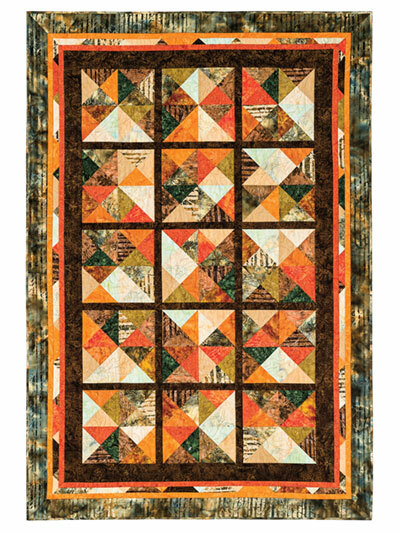 The pieced inner border appears complicated but, is very simple and really makes the quilt sparkle. Finished size is 47 1/2" x 69 1/2"